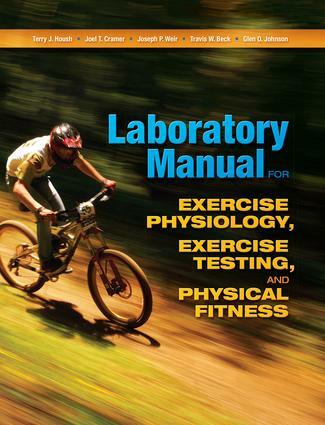 Laboratory Manual for Exercise Physiology, Exercise Testing, and Physical Fitness is a comprehensive text that will provide students with meaningful lab experiences--whether they have access to sophisticated laboratories and expensive equipment, or they are looking for procedures that can be done without costly materials. It will be a useful resource as they prepare for a career as an exercise science professional, athletic trainer, coach, or physical educator. The more than 40 labs cover seven major components of physical fitness. They are practical and easy to follow, consisting of a clear, logical format that includes background information, step-by-step procedures, explanatory photographs, sample calculations, norms and classification tables, and worksheets. Lab-ending activities and questions provide additional opportunities to practice the procedures and explore issues of validity, reliability, and accuracy. Readers will find this manual a valuable tool in learning to apply physiological concepts and to perform exercise tests, as well as an essential resource for any career involving physical fitness and performance testing.